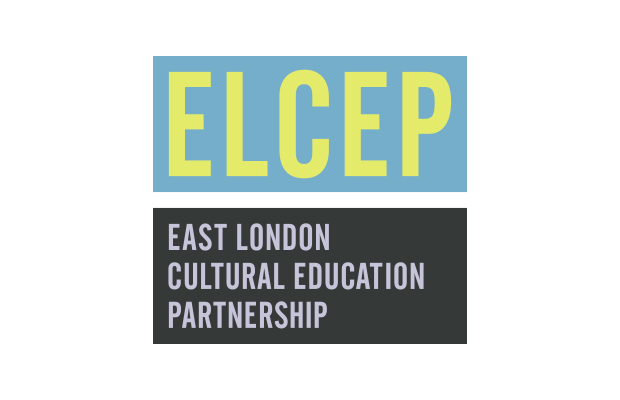 The East London Cultural Education Partnership (ELCEP) is an ambitious initiative to bring together cultural and education organisations across East London to develop cultural experiences for young people. 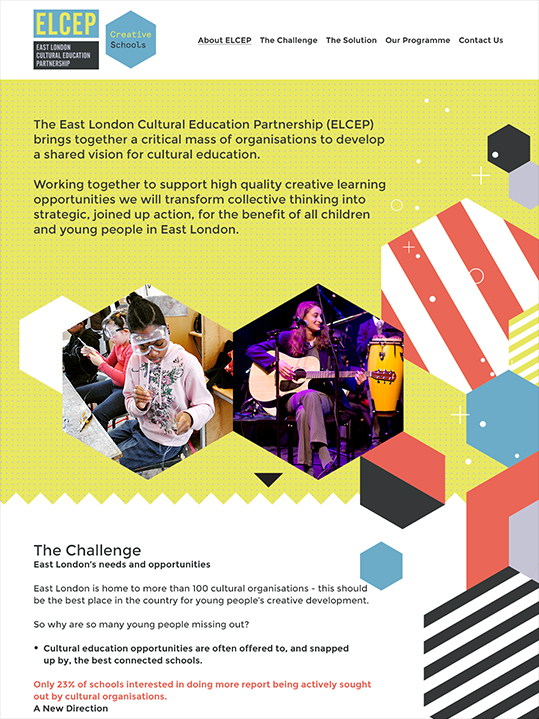 The Barbican and Guildhall School - together with this partnership network of communities, schools, local authorities and cultural organisations – will provide every young person in eight east London boroughs with a participatory arts experience. 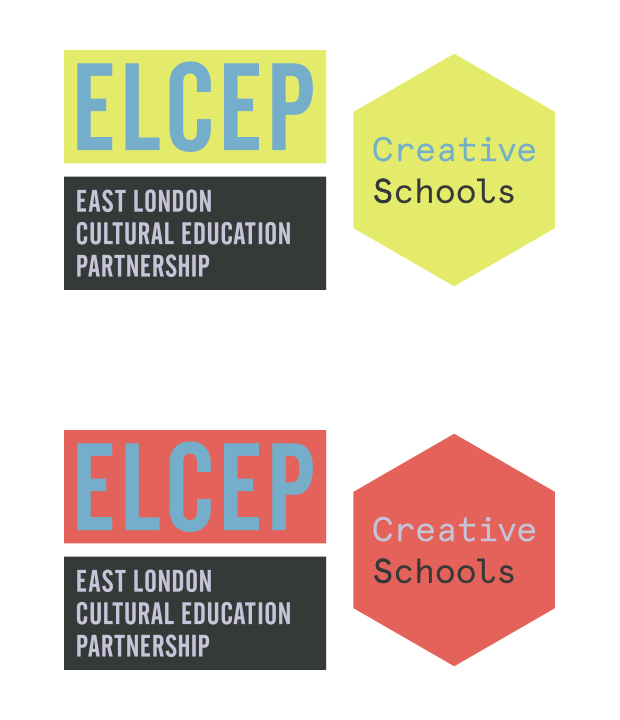 We successfully pitched to design the ELCEP identity along with a partner programme - Creative Schools. 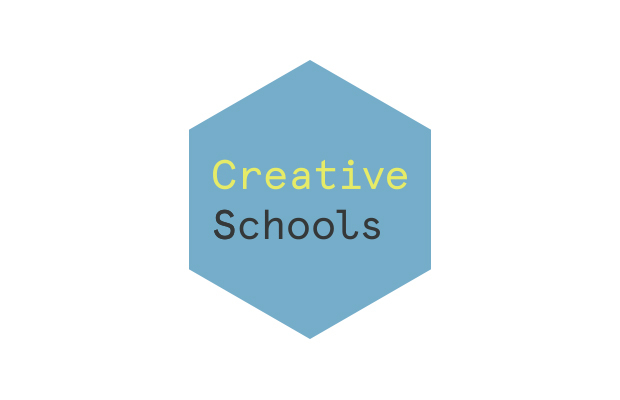 We submitted a number of conceptual design ideas, and after much debate amongst the many stakeholders it resolved to a simple identity scheme that can be extended for future use. 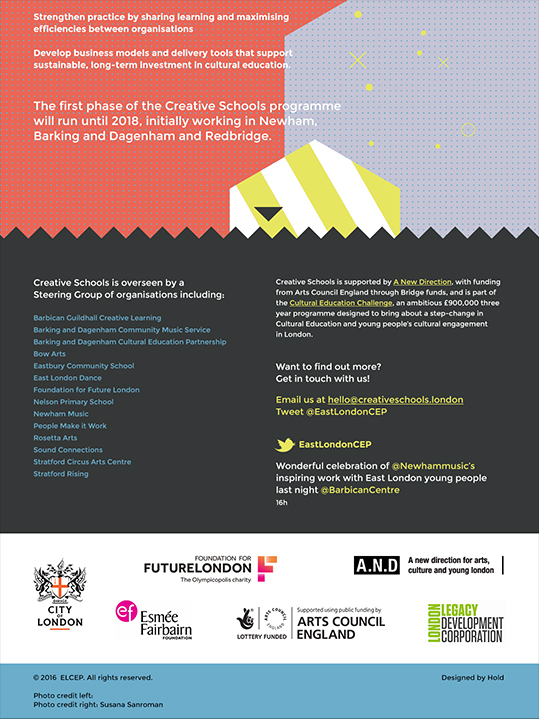 In particular the Creative Schools hexagon device will be extended into other partner programmes as yet unknown. Hold were recommended to us by a colleague and have proved a great fit. 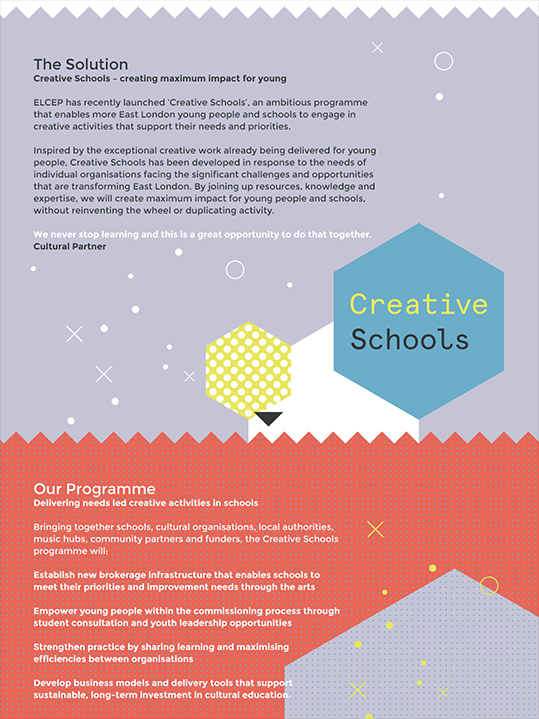 They understood our specific needs and their response to our brief was delivered with energy and creativity. Our logos and website have been well received and will provide a fantastic platform as the programme grows.